Sci-fi thrillers have always fascinated the readers provided the language used is structured and conventional. Having read Dan Brown earlier, ‘Edge of Link’ failed to impress me. Although the plot is strong and the characters are well crafted, the passivity of the language and the ‘tense’ turmoil (pun intended) left me at the crossroads. 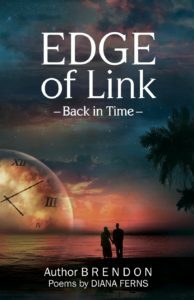 ‘Edge of Link’ has all the necessary elements of a good story- love, drama, melancholy and tension. It even has characters who complement each other. However, the narrative fails to do its part. The poems are the life of the book. A point to be noted is that the author openly looks down upon other authors’ work and claims his work to be the best. I am not a fan of contemporary Indian authors, but I don’t believe in pulling down others for the promotion of my own work. A very disappointing move! Overall, the book can be given a try, for it has a newfangled plot.